Protective and Peace orders allow victims of certain types of abuse to receive protection and other kinds of relief. It is not unusual to see Peace and Protective orders in conjunction with assault charges. The key difference between a Protective and Peace order lies in the relationship between the alleged victim and the alleged abuser. Protective orders are normally reserved for current and former spouses, relatives, vulnerable adults, people who live together, and people who have a child in common. Peace orders, on the other hand, are generally available for people who are not otherwise qualified to receive a protective order. While these hearings are civil in nature, having a restraining order lodged against you can still have serious consequences. The person seeking the protective order can be awarded the home you share, custody of the children, and monetary support, including child support. Further, with a restraining order in place you cannot possess a firearm, which can be a huge problem for someone who needs to carry or use a firearm for his or her employment. These are just a few of the potential consequences at stake at a Peace or Protective order hearing. While Peace orders can remain in effect for up to six months, Protective orders can last up to one year. Further, the enforcement of a restraining order can have significant consequences for the person alleged to have violated the order. If the “stay away” portion of the order is violated, the respondent can be arrested with or without a warrant. To make matters worse, if you are accused of violating the order by abusing the protected person you can be incarcerated without bail. Having an attorney at these hearings is crucial, especially if you are facing assault charges. Everything you say at these hearings is under oath, so your words can be used against you in future criminal proceedings. A knowledgeable attorney will be able to advise you if you should challenge your accuser or agree to the protective order with a few conditions of your own. Call to speak with an attorney at Ortega Law today. Disclaimer: The legal information presented at this site should not be construed as formal legal advice. Any results set forth here were dependent on the facts of that case and the results will differ from case to case. Please contact Ortega Law. LLC for legal advice specific to your situation. 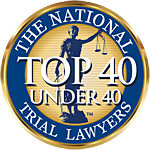 This website is not intended to solicit clients for representation in criminal proceedings outside the State of Maryland, except for those matters prosecuted in U.S. Federal Courts. Attorneys at Ortega Law are licensed to practice in Maryland. The information contained in this website is general in nature. It is provided for informational, illustrative, and advertisement purposes only. It is not legal advice. It should not be relied upon in making legal decisions or in place of a consultation with an experienced and knowledgeable attorney regarding a specific matter. Reading this site, sending us information, or receipt of information from us does not establish an attorney-client relationship. Our review of, and/or response to, your query does not mean we are representing you or that we are your lawyers. Statements, testimonials, and endorsements contained herein do not constitute a guarantee, warranty, or prediction regarding the ultimate result or outcome of your legal matter. Links from this website to the website of another entity does not state or imply the existence of a relationship between Ortega Law and that entity. A written, signed retainer agreement is a required for Ortega Law to represent you.